29. Front and rear urethane facia finishing, bumpers, trim etc. I went to the doctor the other day and he told me that I have a serious lack of horsepower complicated by some common blowby. The cure it seems is a complete motor/trans replacement. While this isn't covered by my health benefits, I hope to make a full recovery very soon! I'll post more pics of the treatment course as it occurs. Prescription calls for 76 350 4 bolt, forged trw flatops, cast 10/10 crank, line bored, precision balanced by Atchisons, 2.02 ported and polished heads, 8004 weiand intake, 4010 holley, crane .532/324 etc. Saginaw is getting replaced by an M21 Muncie 4 speed and I will hook up the stock shifter to it. Headers and duals may have to wait for a bit. The clutch I pulled out looks good so it will be reused for now. Eventually planning on the lakewood bellhousing/ billet flywheel and hayes clutch deal. Last edited by zeke on Sat Feb 20, 2016 3:37 am, edited 9 times in total. The sound of a chain hoist laboring under the strain of a 305 cid V8 or what ever you pull out is a sweet noise of clicks and chain slaping the inner fender panels to the beat of the hearts contentment. that something "great" is on the way. Nice Doctor "advice"on cure for what makes a great recovery. Mike Stay with the prescription and fill it regulary. Scrubbed the bay down with varsol then sprayed a can of foaming degreaser on it. I let it sit for the night then pressure washed it. Came pretty clean, almost a shame to paint it all black but thats what's next. What are going to do with that alternator mount? I'm looking for exactly that...selling it?? Buscop wrote: What are going to do with that alternator mount? I'm looking for exactly that...selling it?? Well, unfortunately Russell, I need it to charge the battery. I do have a complete serpentine setup that I'd like to use off a 91 caprice but the p/s pump would be a problem. If I could cross it with vegatex's idea for the cadillac p/s pump, then I'll run that bracket down to u. Let me know what solution you come up with....should be interesting..
Do you have stock manifolds and y-pipe on there? Thats cool your puting an m21 trans in it. Your engine bay looks good ,you should try to keep it body color instead of black. Keep up the good work. Russ, if Zeke could send you a few photos of that alternator mount you should be able to fab one up of your own. Use 3/8" or 1/2" aluminum plate for the main mount on the front, and some steel strapping (or some more aluminum) for that extra brace running to the head. Prototype everything with plywood untill it works, then transfer the pattern to the aluminum. Aluminum is quite easy to work with hand tools, and buffs up real purdy-like. I will prob use the stock manifolds and Y pipe for now. Made a thread in the engine forum with the alt. bracket pics. Engine bay is going black cuz the body color is going black also. 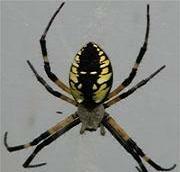 First Spyder I ever seen was black with gold stripes so I want to replicate (clone? lol) that look. The sickly 305 went to the scrap matal yard yesterday and they gave me 20.50$ for my trouble. (block + 1.72 heads) I could twist one rod back and forth latterly across the crank journal about 1/16" so that meant the cubically challenged pos was near death ( fatal knock syndrome) anyways. I didn't get a flat in my van whilst there so I was happy. When I originally looked at my Monza in South Carolina, I noticed that the front valence wasn't bolted up and couldnt be. Also a slight crease in the right front fender. I thought it looked like it had been hit in the right side front bumper. Didn't look serious enough to break the sale. I figured this was the time to fix this situation so I dissassembled the front clip. The front right frame rail has been twisted by about 1/16 of an inch which resulted in a bit of a curve in my condensor coil. I should be able to straighten it out tho and pressure test. I can solve the problem without sending it to the frame doctor by elongating the bumper shocks holes and a few shims I think. I'm cranking it real slow... Wish me luck! I know my Monza has that same bend in the condensor, as has every other one I've taken off. I think they are supposed to be that way to get behind the grill support in the middle. well it seems to sit better now anyways and will still clear the support bracket, i didnt straighten totally flat. It was touching the rad the other way and i didn't like that. Taken everything out thats coming out, will tape up the rest. On to cleaning some more then scuffing.